Bullying and depression are deeply intertwined experiences. Many people who experience depression have also experienced bullying, either at school, in families or workplaces. Bullying is aggressive behaviour used to intimidate others, either mentally or physically. Pre-existing depression can also create vulnerabilities in people making them more susceptible to bullying. Bullying installs values that the world is inherently hostile, scary and dangerous. When bullying victims believe this, both conscious and unconsciously, it sets them up for maladaptive coping techniques like isolation, chronic rigidity and persistent feelings of sadness. Depression emerges as a defence against experiencing further pain. Being bullied increases the constant feeling of being ‘less-than’ and ‘nothing’. Being constantly told that you have no value lowers self-esteem. The effects of bullying are lifelong and often distorts victim’s views of themselves well after the bullying has stopped. Bullied victims often feel very powerless against attackers, especially when problems are insufficiently handled by schools or parents. A deep sense of helplessness can sink in. Learned helplessness often drives depression, as depressed people feel that any positive action is futile and will not achieve any good results. Over 60 percent of boys who are bullies in middle school have criminal convictions by the age of 24, says the U.S. Department of Health and Human Services. * However, bullying can create anger against authorities. Bullying victims often feel let down by the authorities, like parents and school teachers, who failed to intervene and eliminate their mistreatment. Rage against authorities can continue to cause feelings of rejection, abandonment and helplessness. The converse can also happen when people lash out against authority figures in anger. Being a victim at someone else’s expense enrages the ego. Anger and fear are two of the core emotions of all forms of depression. Emotional pains inflicted by bullying are driven into the unconscious to allow the person to continue functioning. This anger and pain can cause depressive episodes unless it is made conscious and released. Often professional assistance is required for this to happen. Bullying at school causes emotions like inferiority and worthlessness to become prominent in the victim’s life. These feelings can last long after the bullying is over. We encourage you to look at our article on absent fathers, as bullying at school is often a twisted reflection of something that’s happening at home. Bullying and depression aren’t always causally connected. A lot of recent studies have focused on depression preceding bullying which creates vulnerabilities in children that get exploited. Years 5 and 6 of primary or elementary school are pivotal in experiencing bullying, as they often set the course of a positive or negative school experience. If bullying occurs during these years it’s likely to continue for most of high school, and for some into tertiary educational settings. Bullying is carried out by cowards who need to feel better about themselves by picking on people they view as weaker than them. Often they co-opt people with weaker personalities who need to gain a sense of belonging or power. Bullies often lack qualities of self reflection and empathy, and are easily led by others. Bullies are deeply reliant on other people’s praise and affirmation to make them feel good about themselves. Realise that bullies are cowards and their actions catch up to them sooner or later. Bullies are not born but created through a mixture of bad personal choices and poor parenting. How do I beat the effects of bullying? Bullying leaves a bitter hole in people especially if it’s been severe and systematic. But people do recover from bullying. Learning to trust is the key to recovery, gaining confidence in other people and organisations. Contact support groups for mental health and victims of bullying. 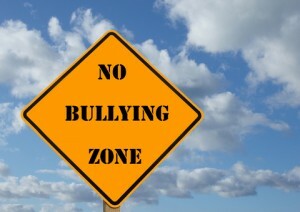 Diligently and properly deal with bullying, either through work HR channels or school supervisors. Bullying should never be tolerated in any setting. If you see someone is being bullied, take a stand, be the brave person that says bullying is not okay. Teach your children to be aware of bullying in school, and if you suspect your children are victims of bullying, discuss it with school teachers and authorities. Be aware that not all bullying is done physically, but also through the internet and on social networks. The mind, like the body, has remarkable capacity for change, growth and healing. People do recover. Get out of toxic environments and into healthy ones, where people genuinely support and encourage each other. This page is dedicated to the memory of Amanda Todd, a victim of cyber bullying.